When you think about it, it’s really no surprise that organized tree-climbing schools (“groves,” as enthusiasts will call them) exist across the world, and that people of all ages—not just kids—are passionate about scrambling up trees for the sheer fun of it. The urge to get to the top of a tree is one everybody recognizes, left over from our ancient, arboreal beginnings. We used to live up there, after all. 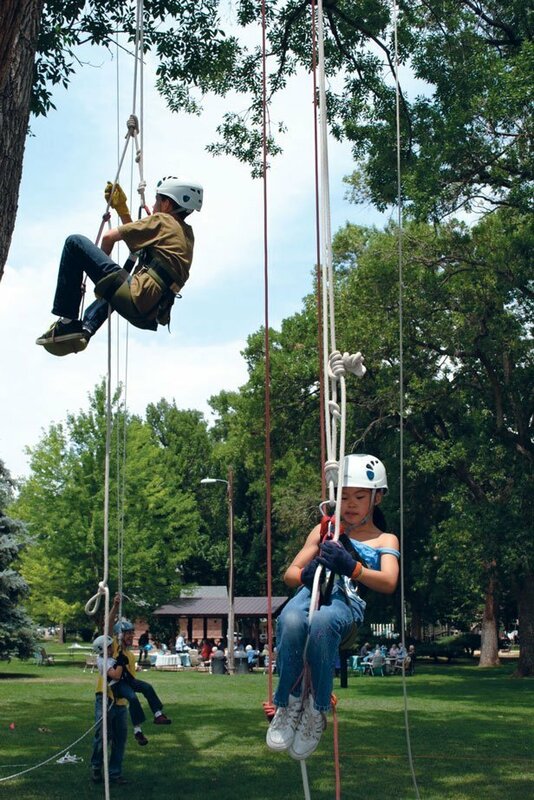 It is perhaps also unsurprising, in a state where people love to scale big things, that one of these schools, Tree Climbing Colorado, is here in our own backyard. Based in Evergreen, the organization operates under the direction of a 68-year-old retired professor of environmental science and part-time employee of the Colorado Sierra Club. His name is Harv Teitelbaum, but you won’t hear anyone call him that in tree-climbing circles. Teitelbaum discovered the sport of tree climbing 18 years ago. It attracted him because, as he says, “it seemed to combine everything I really enjoyed doing…the exercise of climbing, the discovery of getting up into trees, the joy of being out in the forest.” In 2001, when Teitelbaum caught wind of organized tree climbing, the sport was still in its infancy, with its most serious practitioners living in Georgia. Intent on joining them, Teitelbaum flew to the Deep South and immersed himself in training programs with Tree Climbers International (TCI), founded in Atlanta in 1983 by Peter “Treeman” Jenkins. 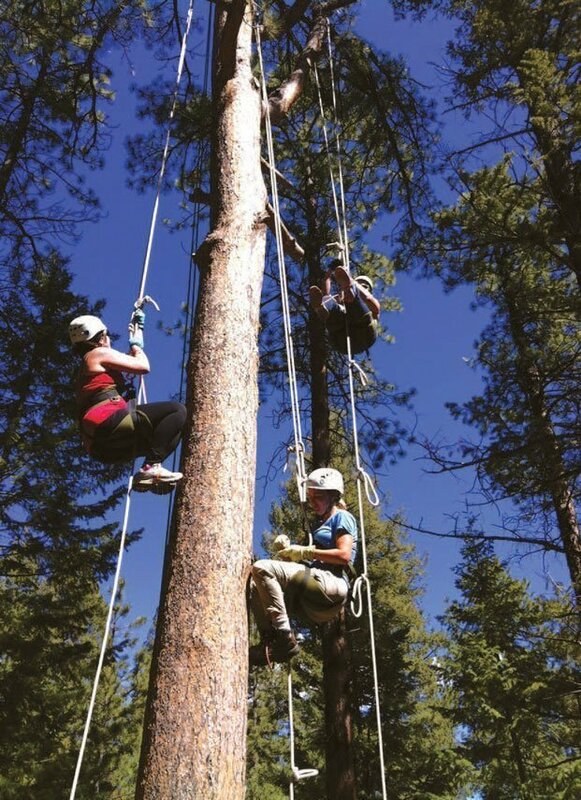 Teitelbaum learned how to climb trees the right way— safely, without harm to man or plant—and started teaching others back in Colorado. And he really does mean all over the world. “We trained the first generation of leaders, a few dozen of them,” says Patty Jenkins, Peter’s wife, who is heavily involved with TCI. “Those people have gone on to form their own schools and train the second, third, fourth generation of leaders. Anyone who falls into this group, we say they were taught in the TCI tradition.” TCI has trained leaders that went on to start their own groves as far away as Sweden, Denmark, Japan, Korea, and France. They are, by all accounts, a serious but inclusive bunch. Patty is quick to point out that TCI and its derivative organizations are “schools,” not “clubs.” Teitelbaum estimates that between 50 and 75 exist around the world, though an exact number is hard to pinpoint, as many are small and keep a relatively low profile. The TCI website is openly enthusiastic about the formation of new schools, offering to the general public full guidelines for getting a grove off the ground. “It only takes two people to get started!” the website reads.